The wines I adore most are usually made with the maximum passion and attention to detail — especially in the vineyard — and the minimum intervention and chemicals. Here are some of the organic and biodynamical — generally ‘more natural’ — wines that I have enjoyed recently. They prove that natural wines don’t have to be weird or funky or smell of farm animals — even if animals have replaced tractors in some of these vineyards! 1 Georgia is almost synonymous with natural wine, as there has never been much need for chemical spraying here. My favourite Georgian winemaker is Giorgi Natenadze, who has spent much of the past decade traipsing through mountain forests in search of ancient vines growing the way nature intended — up trees. He has found some vines that are more than 100 years old and one that he reckons is more than 400 years old. He has uncovered 40 rare grape varieties in the forests in the south of the country, near the border with Turkey, but has only been able to identify 24 of them so far. These he is planting in vineyards abandoned when the Turks ruled the country; in vineyards where he helped to rebuild the terraces last year. 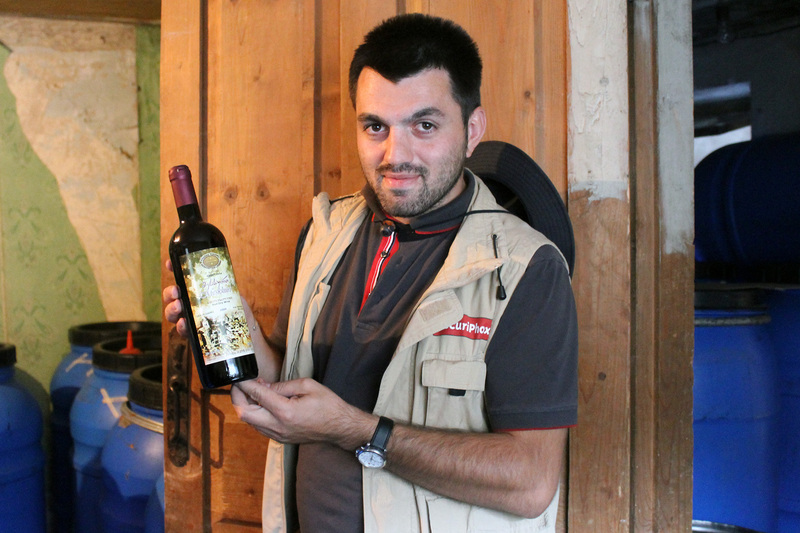 Each year he makes a different wine from these ancient varieties at Natenadze’s Wine Cellar in the Samtskhe-Javakheti region. “Everything is wild and natural,” he says. I have tried the white Meskhuri Tetri 2015, a blend of Akhaltsikhuri Tetri, Meskhuri Mtsvane, Udis Tetri, and Chitiskvertskha Tetri, and the Meskhuri Red from 2010 and 2015. These are blends of the rare red grape varieties Meskhuri Sapere, Kharistvala Shavi and Meskhuri Tskhenis dzudzu tetri (from the oldest vine). All the wines are made in the traditional Georgian way — in qvevri. You can almost taste the history in the glass. 2 Georgia’s best-known grape varieties are Rkatsiteli and Saperavi. These grapes, I discovered recently, are also part of the portfolio from another former Soviet state, Kazakhstan. Zeinulla Kakimzhanov, a former government minister, formed a cooperative and bought a neglected vineyard in the southeast of the country, near the city of Almaty, in 2006 and has turned it into Arba Wines. As well as growing the international varieties Pinot Noir, Cabernet Franc, Chardonnay, Riesling and Gewürztraminer, they have discovered and replanted some hardy Saperavi and Rkatsiteli plants that were imported from Georgia when the Soviets ruled here and are still on their own roots. Before Mikhail Gorbachev’s anti-alcohol campaign in the 1980s the country had about 27,000ha of vineyards. It is up to about 15,000ha now. Much of it is low quality, but there is the odd gem, like Arba Wines’ Sary Arba Rkatsiteli 2013 and Lagyl Arba Saperavi 2013. 3 Believing Blaufränkisch (Kékfrankos) shines best in a Bikavér (Hungary’s signature red blend), I am slowly beginning to appreciate it as a varietal. This is largely due to three wines tasted recently. First there was the Blaufränkisch Unplugged 2012 from Slovakia’s Magula family. The 250 bottles of this delicious wine were made in an extraordinarily good year without using any electricity or machinery from the vineyard to the bottle. 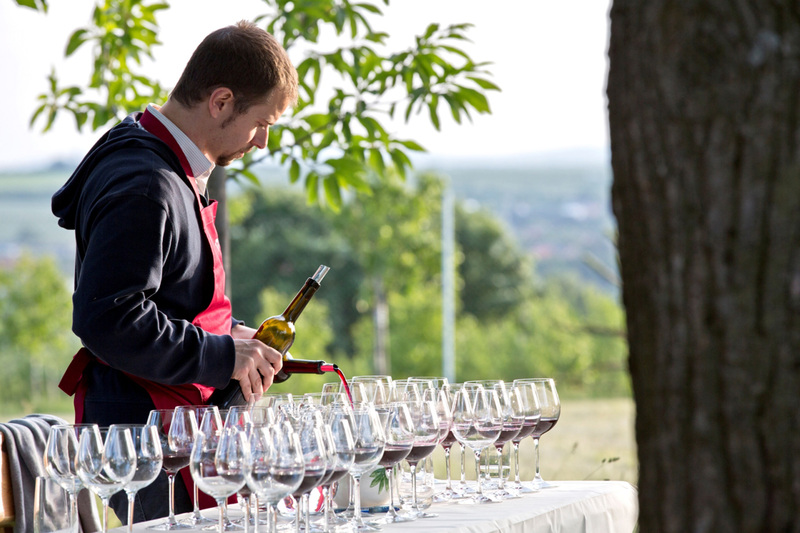 “Only with our bare hands and feet,” says Vladimir Magula Jr, the son who combines work in Bratislava as an estate agent with being the winery’s ‘strategic manager’. In 2007, the family re-planted an old vineyard at a former monastery and have been certified organic since 2015. The second Blaufränkisch that blew my tastebuds came from Austria, as you might expect. Birgit Braunstein is continuing a family tradition that stretches back to 1632, although she has only been making wine since 1990. She farms biodynamically on slopes overlooking Lake Neusiedl. Her Blaufränkisch Felsenstein 2011 is packed with dark cherry fruit and spice. The third Blaufränkisch comes from Karner Gábor, who makes his organic wines in Hungary’s often overlooked Mátra region and believes Hungarians should work predominantly with regional grape varieties. 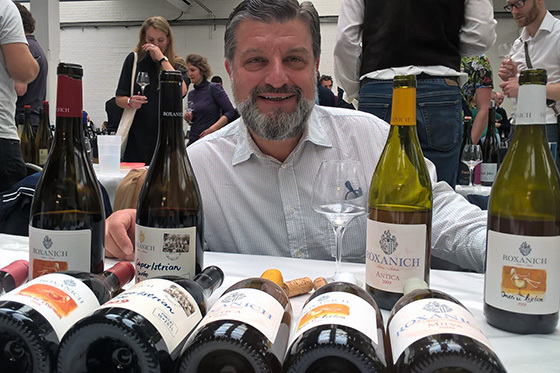 His Vitézföld Kékfrankos comes from a 1ha site on a hillside and shows the complexity and elegance squandered by so many other producers of Blaufränkisch wines. 4 Karner Gábor is one of a growing number of organic and biodynamic producers in Hungary, who are committed to this style even though there is little demand for natural wines in the domestic market. The tastiest natural wines I’ve had recently from Hungary came from Gábor (see above), Horst Hummel and Peter Wetzer. Biodynamic producer Horst Hummel reminded me that there is more to Villány than Cabernet Franc. From the winery he founded in 1998 come fruity and refreshing wines made from Portugieser, Kékfrankos and Merlot, but his most impressive wine is the complex blend he calls Piroschka (50% Kékfrankos, 35% Portugieser and 15% Cabernet Sauvignon). Peter Wetzer, who has five vineyards around Sopron, makes some awesome single-vineyard Kékfrankos wines there but it’s his white wine, Ság, that impressed me most. Ság is a vineyard on an ancient volcano 80km south of Sopron. Many of the vines are 100 years old. The grapes — a field blend of mostly Furmint and Olaszrizling — are 50% whole bunch pressed and 50% macerated on the skins. The wine is aged on the lees in old oak barrels for a year before being bottled by gravity without fining or filtration. Peter’s view of winemaking is similar to that expressed by many of the natural winemakers that I meet on my travels: “I grew up in a winemaker family and while working in the wine industry I also studied intensively the world of wine. It made me realise the big difference between the wines close to nature and the ones which are influenced by the industry. 5 Old vines are also the key to a cracking Kadarka that I tasted fromSerbia. Oszkár Maurer’s Kadarka vines, in the Szerémi region near the border with Hungary, were planted between the 1880s and 1912. That’s why he labels his wine Kadarka 1880. The 2013 and 2015 versions are great examples of what this grape variety is capable of showing as a varietal. They are full of red cherry flavours and bright acidity, with hints of spice. Oszkár is also reviving the local varieties Bakator, Szerémi Zöld and Mézes Fehér. 6 In the Czech Republic I found a refreshingly honest producer. Milan Nestarec, who farms 10ha organically in Moravia, near the border with Austria, says: “Wines from our cellar express good and also bad character of the people who created them, they are not easy coming, nor waiting for compliments or untruth praise.” His tangy Sauvignon Blanc 2014 will not be to everyone’s taste, but wine lovers who have tried Welshriesling, Grüner Veltliner and Traminer in other parts of Central Europe will appreciate his Ryzlink Vlassky 2014, Veltllinske Zelene 2014 and Tramin 2013. Milan is a man who loves what he is doing and it shows in these wines. 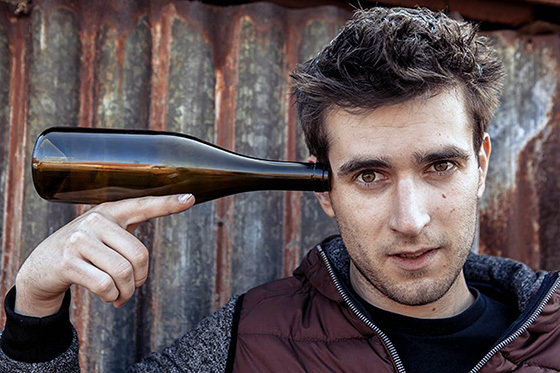 They are filled with his passion and enthusiasm, and represent the terroir in Moravia as well as his point of view. “It is a privilege to wake up in the morning and to be able to work the soil and vine,” he says. 7 Austrian producer Fred Loimer shows how clean and pure biodynamic wines can be. No funky or weird flavours here, just lovely examples of Grüner Veltliner, Riesling and Pinot Noir. Fred has vineyards in the Kamptal region and some marvellous hillside sites in the Thermenregion village of Gumpoldskirchen where he is growing Chardonnay. He is also making sparkling wines now. 8 The first natural wines I ever tasted came from Roxanich, a winery in one of my favourite parts of Croatia — Istria. As this was a mind-blowing introduction to the possibilities of long-maceration for white grape varieties, I’ve followed the ups and downs of its owner, Mladen Rožanić, with interest since his first releases, the 2005 vintage in 2008. With his latest line-up, he seems to be back on form — putting his own powerful stamp on both international and regional varieties. The stand-out whites include a Chardonnay that has seen eight days of skin contact and a Malvazija that has been macerated for 174 days! The white blend Ines in White — named after his wife — also undergoes 174 days of skin contact. His reds include the newly-named Istrijanac (his name for what used to be called Teran) and the SuperIstrian, a particularly pleasing blend of Merlot, Cabernet Sauvignon and Gamay. 9 The use of kveri has spread to Switzerland. 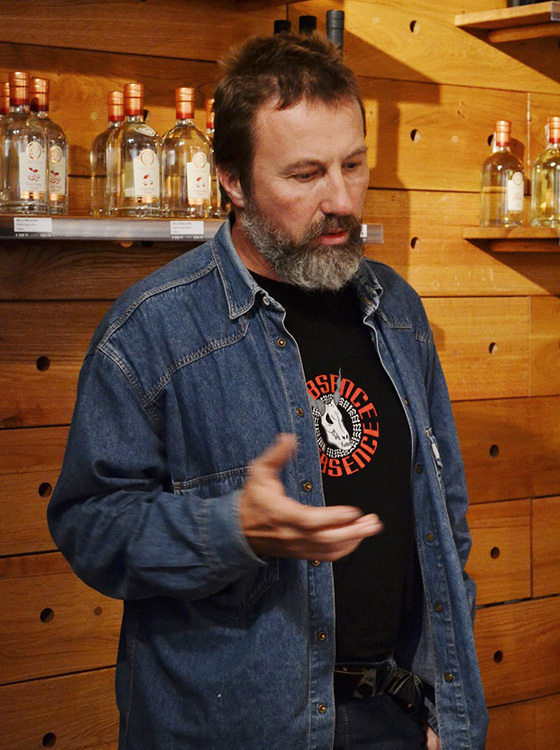 Amédée Mathier started using amphora in Valais in 2009 after visiting Georgia and has 20 amphorae at his disposal at the estate founded by his grandfather, Albert Mathier. Amédée uses the amphora to mature a white and a red wine. The Amphore Blanc is a blend of rare Swiss variety Rèze and Marsanne, macerated for ten months in the clay vessel to produce an amber-coloured, dense, complex wine with a long finish. The aromas include herbs, plum pudding and honey, while the flavours include black tea, dried fruit, cumin and tobacco. Amédée describes it as “an old new way of making wine”. 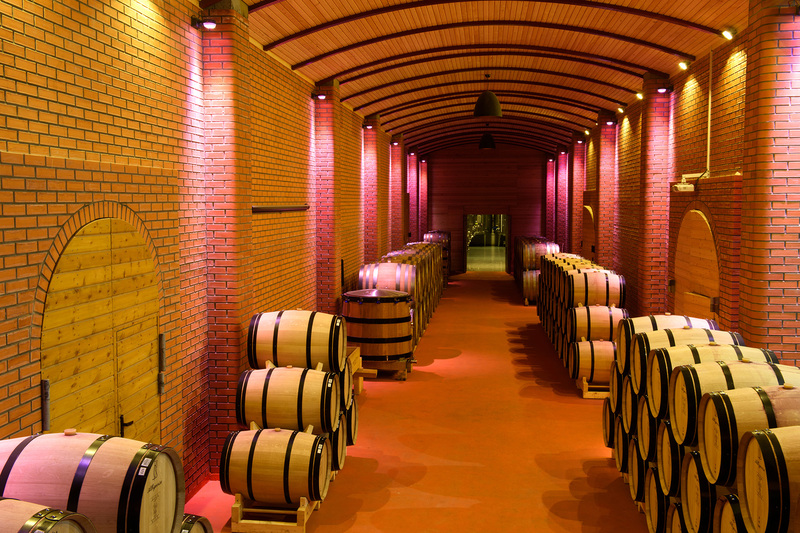 The red wine, Amphore Noir, is made from Cornalin and Diolinoir grapes. 10 Biodynamic viticulture can be found in some unlikely places. 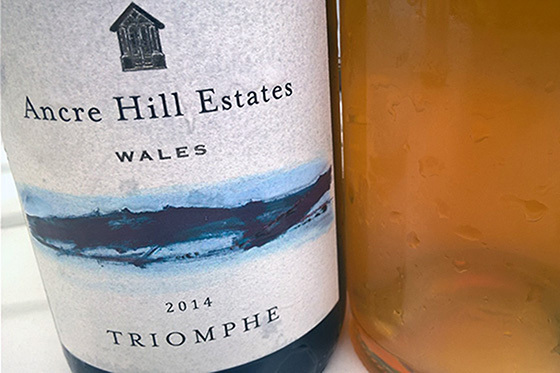 Wales, in the western part of the British Isles, is not a place often associated with quality wine production let alone biodynamic winemaking. In a winery made from straw bales, Richard, Joy and David Morris are turning out top-quality biodynamic wines under the Ancre Hill brand. They have 4ha of Chardonnay, Pinot Noir, Albariño and Triomphe vines planted between 2006 and 2012, and have recently planted another 4ha. Next year, they will plant an additional 4ha. My favourite wine from Wales is their rosé made from Pinot Noir grapes. Richard says he makes wines they “want to drink and which are true to vintage and provenance”. They are also the wines I want you to try.